Therapy In Motion – We treat the patient, NOT the Insurance Policy! 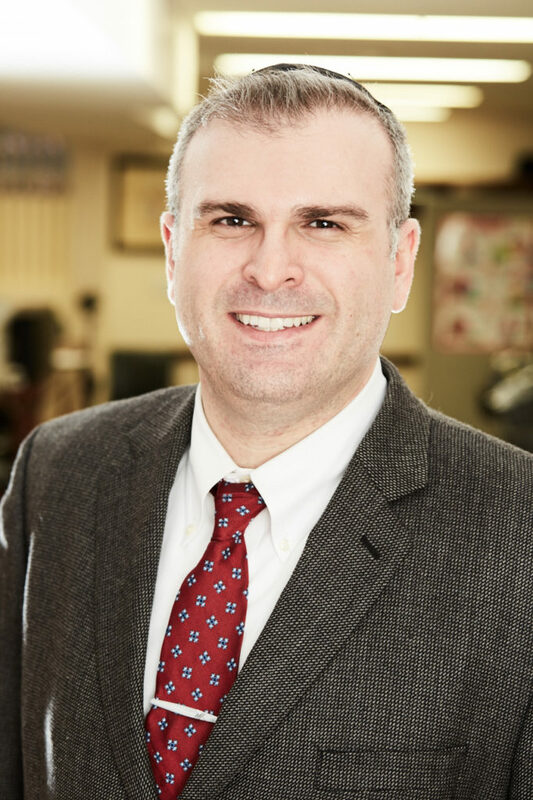 Dr. Abe graduated LIU with a BS/MS in PT with Honors Distinction in 2003, Post-Clinical Doctorate (DPT) in 2007, MBA-Healthcare from Touro College in 2010, and an Advanced Orthopedic Residency from Touro College in 2013. He has been an active member of the American Physical Therapy Association since 2000. Dr. Kopolovich treats all ages from infancy, orthopedics, and geriatrics. He specializes in Torticollis, Orthopedic injury and surgery, and Geriatric impairments such as arthritis. Dr. Abe grew up in Boro Park and has been an active part of the community for over 30 years. He is fluent in Yiddish, Russian, and Hebrew. Rikki Kopolovich is a graduate from Touro College where she earned a BS/MS in occupational therapy with honors in January 2008. She has been an active member of the Occupational Therapy Association since 2010. 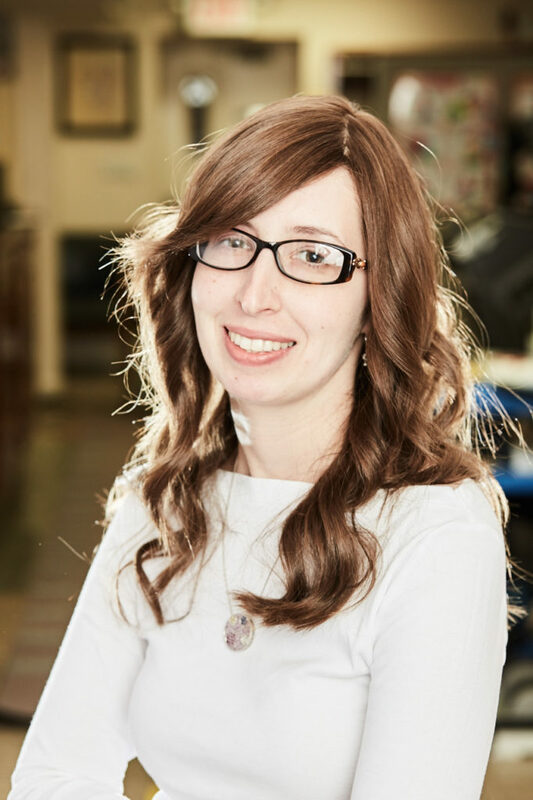 Her family is three generations in Boro Park and a staple reputation as community leaders. Rikki is the conductor in the office making sure that all things run smoothly. She enjoys painting and meteorology. Dr. Friedman graduated from the Albert Einstein School of Medicine in 1993, and is Board Certified in Internal Medicine and Physical Rehabilitation. He is a specialist in diagnosing nerve pathologies using EMG analysis and is an expert in treating spine, sports and rehabilitation issues. 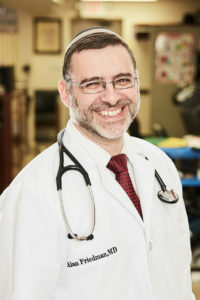 Dr. Friedman grew up in West Orange, NJ and currently lives in Israel. He manages both practices in Israel and NY treating patients with unsurpassed one-on-one quality. We are proud to have such a diverse team to help meet the needs of our adult & pediatric patients in the neighborhood. Our team provides true one-on-one treatment with focused attention on the needs of each individual. You will be treated by the same therapist every time who knows your name and will NOT waste your time getting you feeling better fast in a warm & friendly environment! Our staff is fluent in Spanish, Russian, Hebrew, Yiddish, Mandarin, Cantonese, and Hindi. 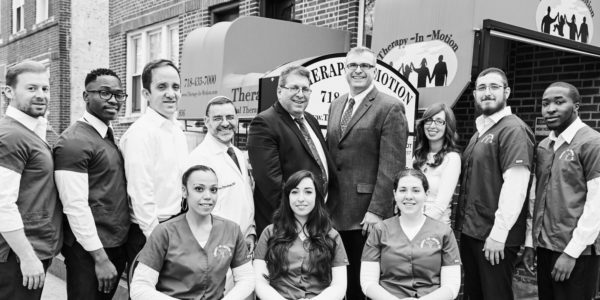 Established in 2005, Therapy-In-Motion was built as a state of the art outpatient Physical & Occupational Therapy office in Boro-Park, Brooklyn. As a small family owned practice we take great pride in providing exceptional customer service. We carry all the latest technologies which are exclusive to our office combined with experienced & compassionate therapists. Our office treats all ages from infancy to elder care and is wheelchair accessible and 100% ADA compliant. We pride ourselves in offering new patients same day appointments or the following day in order to go above and beyond in every aspect of our business. Our physical therapists are passionate, highly qualified experts dedicated to delivering personalized care to help you optimize your health and wellness. If you happen to have any questions, feel free to ask us below! Dear Abe & Staff: Thank you for taking such good care of our little boy. You put us at ease with your kind words and expertise. Your gentle touch and way cured my son! We will forever be grateful! Thank you Dr. Kopolovich. Our gratitude to you is hard to express for working with Baruch with such selflessness. Your consistency and structure made each session a success. You utilized each moment and spent each second to its fullest. Your devotion was unusual and because of you, Baruch made great strides thank you! Dear Dr. Kopolovich: Words can not express the appreciation we have for you. With your heart and soul, you work and accomplished too. Your gentle work is hard to find, thank you for being one of a kind! Dr. Abe Kopolovich is an amazing doctor. He knows his stuff backward and forwards. I would recommend his practice to anyone in need of a physical therapist. The staff is very friendly and are always willing to help. I felt better in my first two weeks !! Dr. Kopolovich was able to help me with leg pain. He was very patient and attended to my medical needs. I would recommend his office to anyone with similar issues. The front desk staff is also accommodating with scheduling and making appointments at the best time for me.